WASHINGTON—U.S. 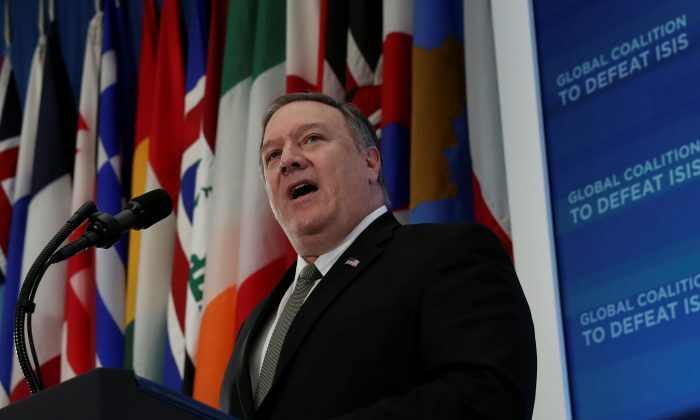 Secretary of State Mike Pompeo will express concerns about the growing presence of China’s Huawei Technologies in central Europe when he visits Hungary next week, a senior administration official said on Feb. 8. The U.S. is trying to persuade other governments to avoid Huawei, which is under scrutiny from Western intelligence agencies for its perceived ties to the Chinese regime and the possibility its equipment could be used for espionage. Huawei, which has repeatedly denied engaging in intelligence work for any government, is one of several Chinese tech companies that have come under U.S. government scrutiny. The senior official said the United States was particularly worried about Huawei’s influence in small eastern and central European countries where corruption was a problem and it was easy to penetrate state systems, the official said. “Of course, we see (Huawei’s presence) being problematic across the board, but what sets central and Eastern Europe apart is you have a large number of mostly small and mid-sized states, many of whom have a higher propensity to corruption,” the official added.